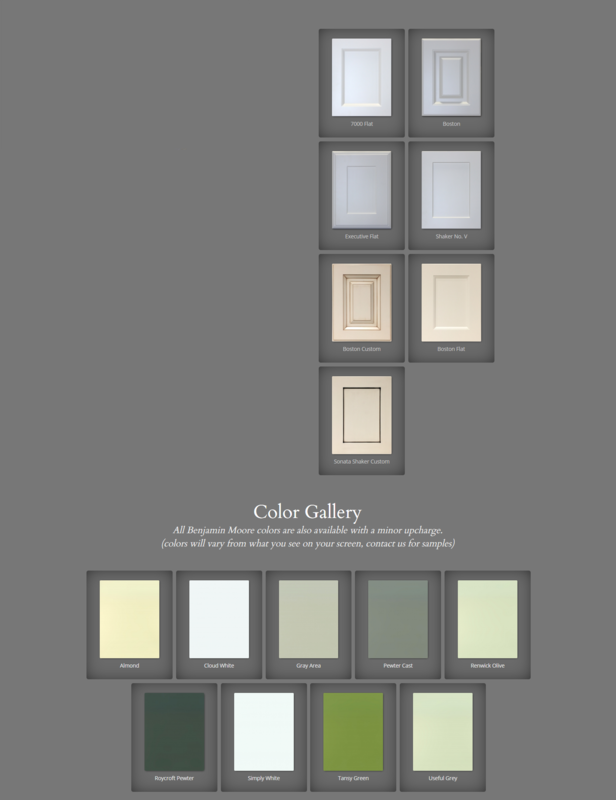 Doors Colors | Premiere Custom Millwork & Fireplaces Ltd.
Our Painted One-Piece MDF doors have the same door design as our 3-D Laminate line which is made from MDF. These doors are machined by a CNC machine, covered in two coats of primer and 2 coats of Lacquer and are available in our 8 standard colors. All Benjamin Moore colors are also available with an minor upcharge.